I just watched the dietary documentary Fat Head yesterday and I have to say, it was pretty phenomenal. Basically, it's sort of a direct response to Morgan Spurlock's Supersize Me, and seeks to demonstrate to viewers that the crusade against eating meat and animal fats is entirely fallacious and in actuality is causing the obesity crisis in America. The basic premise is that ever since meat and saturated fat became vilified by the government and others in the mid 20th century, the go-to healthy food has become whole grain based products. Stuff like bread, cereals, etc. What the film reveals however is that these carbohydrate loaded foods actually spike your blood sugar, leave you feeling hungry all of the time, and damage your arteries, which eventually leads to heart disease. To prove this, the film's enigmatic narrator and creator Tom Naughton guides the viewer through his own month long journey of eating nothing but fast food. Instead of gorging on excessive amounts of foodstuff like Spurlock, he instead eats only around two thousand calories a day. This two thousand calorie allotment can include double bacon cheeseburgers or grilled chicken sandwhiches; indeed, anything can be eaten as long as the daily limit of two thousand calories is not breached, too many excessive carbohydrates are not consumed, and soda consumption is reduced. To this end, Naughton chooses to not eat any french fries or drink any soda (sticking to either diet or iced tea) throughout the duration of the film's experiment. At the end of the thirty day fast food marathon, Naughton returns to his doctor to see any potential damage he has done (much like Spurlock in his documentary). To the doctor's surprise, Naughton actually lost twelve pounds, improved his cholesterol, and lowered his percent body fat. And he did this while eating double cheeseburgers for lunch and dinner everyday, with the only limitations being the ones listed above. What do I make of this? It seems there is a lot more to eating a healthy diet than just cutting out all meats and turning into a vegan. Indeed, much of the evidence from this film implied to me that saturated fats and animal meat are far better than whole grains and vegetable oils in terms of helping you lose weight and keeping your blood sugar down. Of course, this doesn't mean that you get to eat McDonald's all day every day and say you are getting healthy. I mean, you could, but you would need to not eat fries, drink water instead of soda, and make sure that what you are eating throughout the day leaves you with a calorie deficit and not an excess. This is where I think most Americans fail; they can't resist the fries or the coke, nor the ice cream or other deserts when they make it home. If people cut down on the needless and pointless calories contained in sweets, french fries, soda, and the like, I feel like this country would be much healthier and in far better physical shape. For that to happen though, people need to take responsibility. If they can do that, then this film has revealed that it's ok to eat a cheeseburger as often as you want as long as you aren't constantly snacking on sugary junk and drinking empty, destructive calories. 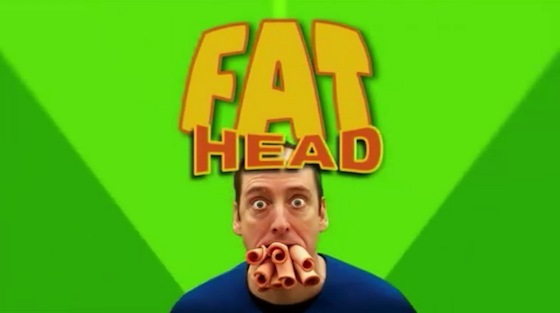 For changing my point of view in terms of the effects of meat, saturated fat, and carbohydrates on my overall health, I have concluded that Fat Head is a must-see documentary. It might not turn diehard vegetarians into meat eaters, but it just might make them think twice the next time they turn down that nice, juicy steak in favor of something loaded with whole grains and carbohydrates. Is there a need for Xbox TV? Is the new Nexus 7 worth it? It's not a shooter, it's a camera! Space Exploration: Why don't our leaders care?